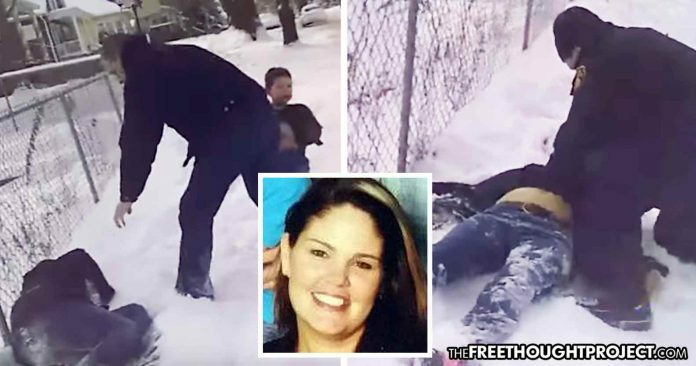 After keeping the video secret for over three years, showing a cop try to shoot a dog and kill a mom instead, the family has finally succeeded in getting it released. Des Moines, IA — In June, the taxpayers of Burlington, Iowa were told that they will be hit with a $2 million bill to pay for a police officer who shot and killed an innocent mother. The tragic scenario was captured on video and the fact that most of that video remained a secret was part of the reason the family received the settlement in the wrongful death suit. However, all that has now changed and the video was released this week.